Wow, those are low number of enemy combatants killed in air strikes. The title sure says more than reality. miketheterrible wrote: Wow, those are low number of enemy combatants killed in air strikes. The title sure says more than reality. Indeed, I would wonder if Russia would have to intervene in Afghanistan. They would make quick work out of the taliban. However, I don't know that what does it take too long for ISAF and ANA* (it has around 120,000 - 180,000 soldiers IIRC) to wipe them out. #BREAKING: A Heavy Martyrdom Attack Hit Crusader #Invaders Convoy In Bagram. 3 Tanks Destroyed, 11 Foreign Invaders Killed And 13 Injured. Another day another bomb in Kabul. This was today, 5 Danes wounded. MOSCOW, November 13. /TASS/. Russia is baffled at the United States’ attempts to accuse it of hindering dialogue between the Afghan authorities and the radical Taliban movement (outlawed in Russia), especially on the background of the recent consultations in Moscow that involved both parties, the Russian foreign ministry said on Tuesday. The ministry recalled that on November 9 Moscow hosted a conference on Afghanistan that involved delegates from Kabul and Taliban and that was attended by an observer from the United States. "According to the participants, the conference was a major step on a path of establishing direct peace dialogue between Kabul and the Taliban movement," the ministry stressed. "We consider Hale’s pronouncements as a clumsy attempt to shift responsibility for the United States’ own failure in Afghanistan and the lack of progress in Washington’s efforts to find a solution to the Afghan problem on Russia," the ministry stressed. On November 9, Moscow hosted the second meeting of the Moscow-format conference on Afghanistan. It was attended by senior diplomats, special envoys and observers from Russia, Afghanistan, India, Iran, Kazakhstan, Kyrgyzstan, China, Pakistan, the United States, Tajikistan, and Uzbekistan. A delegation from Taliban’s political office in Doha took part in the conference, for the first time. After the conference, director of the Russian foreign ministry’s second Asia department, Zamir Kabulov, said that the Taliban said it would be ready for talks with the Afghan government only after a schedule for the withdrawal of foreign troops is agreed with the United States. As reported on January 28, 2019 by RIA Novosti news agency, Special Representative of the US Secretary of State for Afghan Reconciliation Zalmai Khalilzad confirmed that the United States and the radical Taliban movement agreed on the basic framework of the agreement, which could lead to the complete withdrawal of American troops in exchange for a ceasefire and the Taliban talks with the government of Afghanistan. This writes the American newspaper "New York Times". At least 14 Afghan servicemen and militiamen were killed, and over 10 others were injured in the clashes with Taliban, provincial council member Jawid Majidi said as quoted by the Ariana News broadcaster. Taliban also seized a number of weapons and equipment after the retreat of the Afghan forces. 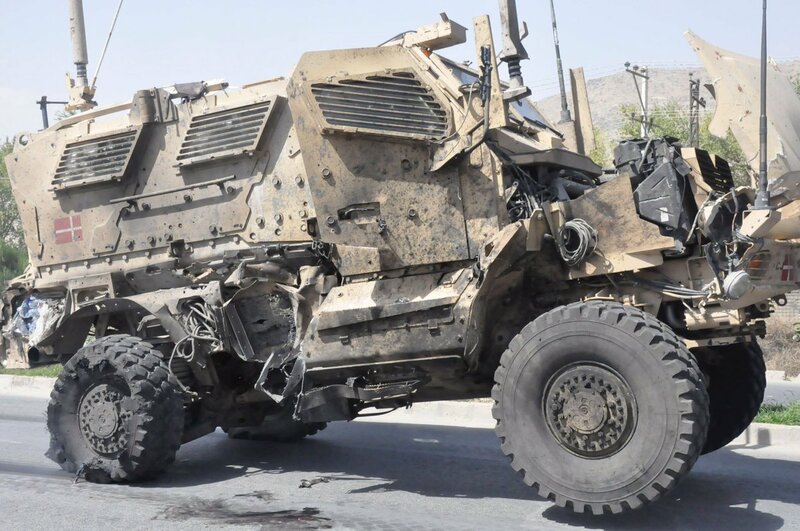 The report comes after some 10 Afghan security force servicemen were reportedly killed and up to 13 others were wounded in Taliban attacks in the country's southern Helmand province. Meanwhile, negotiations between US and Taliban officials that took place in late February in Doha have reportedly resulted in the agreement to prepare a framework that requires the United States to withdraw troops in exchange for counterterrorism pledges from the movement representatives. Fierce clashes between the Afghan government forces and Taliban insurgents are not uncommon in the country, which has been torn by conflicts since the late 1970s, including with the involvement of foreign forces.